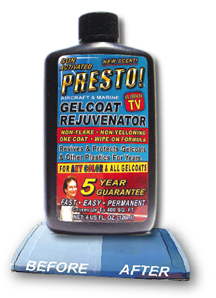 PRESTO!™ PRO for Car Paint Scratchs, Scuffs, and Oxidation/Fade Restoration. 4 US fl. oz. will cover up to 400 sq. ft. enough to do several cars, two SUV's or thousands of sctratches! PRESTO! PRO™ is designed for automotive finishes only. PRESTO! 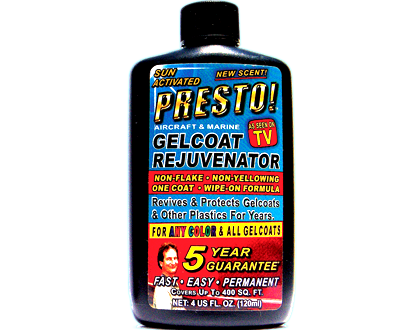 Gelcoat Rejuvenator™ built on this and is good for more than just car finishes. 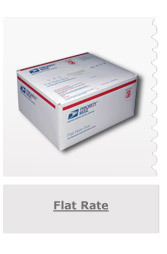 Us this product for car finishes and most outdoor plastics. There is no need to buy two products for two different plastics! 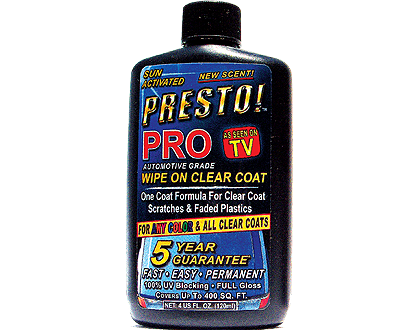 PRESTO!™ PRO, is a self-levelling, wipe-on product, that surpasses automotive performance specifications for clear coats. Because it is a clear coat, PRESTO!™ PRO will not wash away like other car care products. PRESTO!™ PRO is so durable that one application lasts for years – not weeks – and we back PRESTO!™ PRO with a limited five-year warranty.